A recent study recommended this general plan for a new sports complex serving the Oshkosh community. Local community leaders are in the preliminary stages of planning a multiuse outdoor sports complex to address needs illustrated in a joint study between the Oshkosh Convention and Visitors Bureau and Rettler Corp. According to the Oshkosh Sports Facilities Feasibility Study, the city’s current facilities are functional but need improvements to lighting, concessions, restrooms and bleachers. The study rated all the sports fields in Oshkosh, giving football and soccer fields an average rating of 2.13 and giving baseball and softball fields an average rating of 1.97. “According to the assessment, a score of two is defined as ‘Below Average Condition: field is playable but in need of significant upgrading’ and a score of one indicates the need for complete renovation or replacement,” the study said. The study recommended building a multi-use outdoor sports complex as a solution to the problems addressed. “Creating a year-round athletic hub in the city of Oshkosh will allow the city to host large sports events, making Oshkosh a premier destination for sports and leisure groups all over the area and benefiting local business,” the study said. According to city officials, the biggest obstacles for the project moving forward are funding and management of the facility. CVB Executive Director Amy Albright said the project had been discussed before, but it died because of a lack of funds. City Parks Director Ray Maurer said sports complexes are usually funded by private donations, corporate sponsorships and tax dollars if a school district is involved. Maurer said the city wouldn’t manage the potential sports complex due to a lack of resources. Albright said the project is being worked on by the CVB, the Greater Oshkosh Economic Development Corp., the Oshkosh Area School District, the city and representatives from youth groups. Despite obstacles in funding and management, Greater Oshkosh Economic Development Corp. President Jason White said a sports complex would persuade more families to move to Oshkosh. White said communities similar in size and smaller than Oshkosh have sports complexes that boost tourism and their economies. “I know we go to places all over the state where communities have 5,000 to 10,000 people that can accommodate tournaments every weekend in the summer, and we can’t do that in Oshkosh,” White said. Maurer said a sports complex would reduce the burden on the Parks Department in terms of scheduling teams. White said there isn’t a potential site for the complex at this time because the project is in such early stages. White said it’s too preliminary to know if the proposed complex would replace Titan Stadium for high school football games. “Other cities the same size or larger, that I’ve been in, it’s uncommon to have three high schools and a major university share one field,” White said. 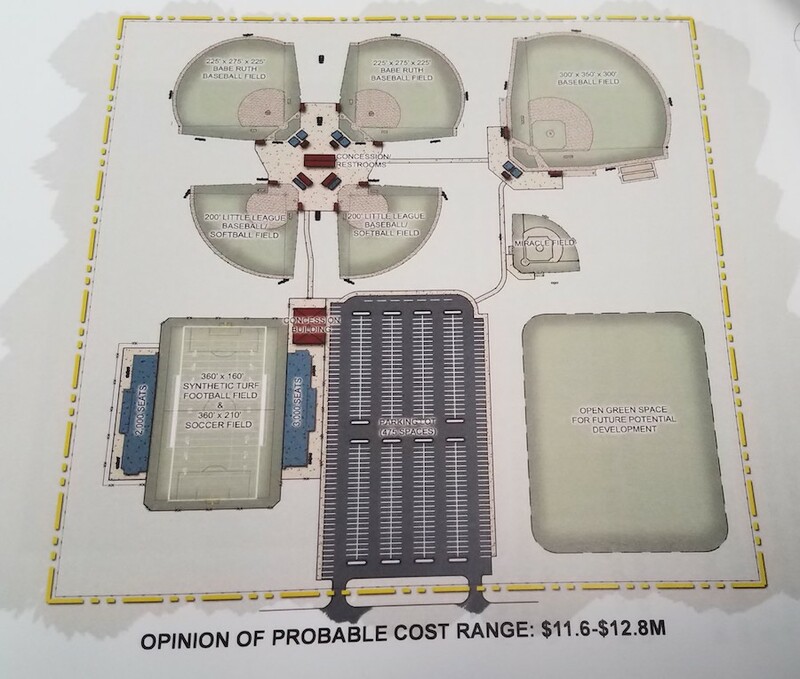 If local high school teams left Titan Stadium, part of the existing Oshkosh Sports Complex on Josslyn Street, the potential revenue loss for UW Oshkosh would be $124,257 according to UWO Director of Communications Mandy Potts. School Superintendent Vickie Cartwright said it’s too early to know if the complex would replace Titan Stadium and if built the complex would give the community new opportunities. There was an area north of town, Sunnyview Expo Center and county park that could have done something but our wonderful piss pour management for the county screwed that up by making the Expo Center a one use facility, a concert area with all gravel for sitting and standing. Rob Way was so hell bent on getting rid of the race track that by not working past the nose on his face could have made better use with working with events that were there and not chasing events away like the Great Outdoors event, Deerfest, major horse shows and the weekly racing that brought in over 3 million yearly to the area for a single event facility. Now the Grandstand area will sit empty except for 1 event. Shame on you CVB, Winnebago County Board, City Council and others for letting this happen.